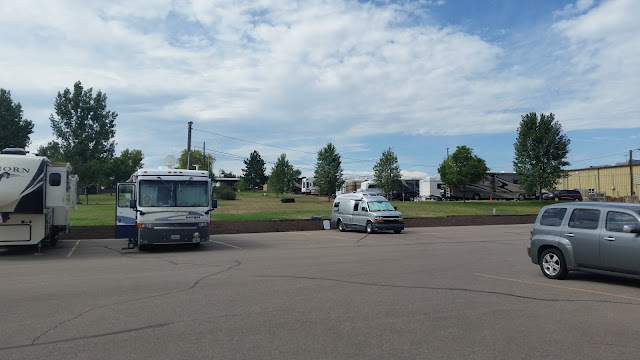 Our favorite RV park in the country is Clear Creek RV in Golden, Colorado. 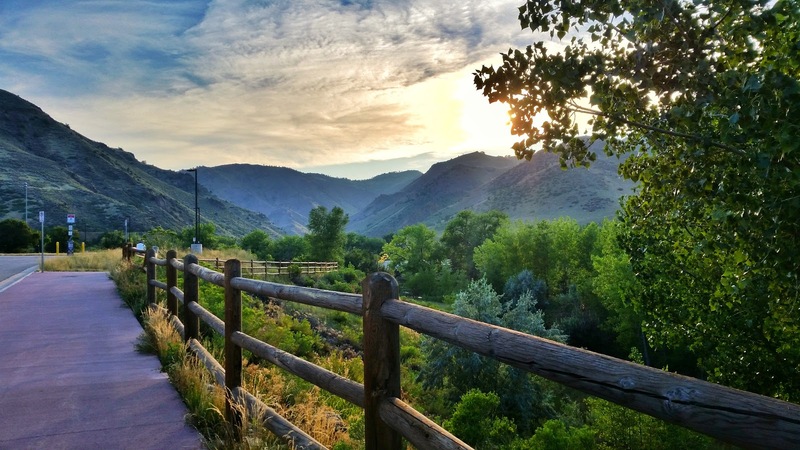 It's small, it's right on a river (Clear Creek), it's walking distance to breweries, restaurants and other attractions in Golden, AND it has really good Wi-Fi! What more could you want? So, when our route was taking us thru Colorado, we wanted to stay there. But, we're not the only ones who like that park! It's hard to get a reservation, and this time was no exception. We wanted to stay there Wednesday - Sunday, but they were all booked up except for Friday ... we'll take it! We spent a night at a Walmart in Wyoming (we actually like Walmart nights - more later) then found an opening in Estes Park Campground at the entrance to Rocky Mountain National Park. There was absolutely NO Internet here! 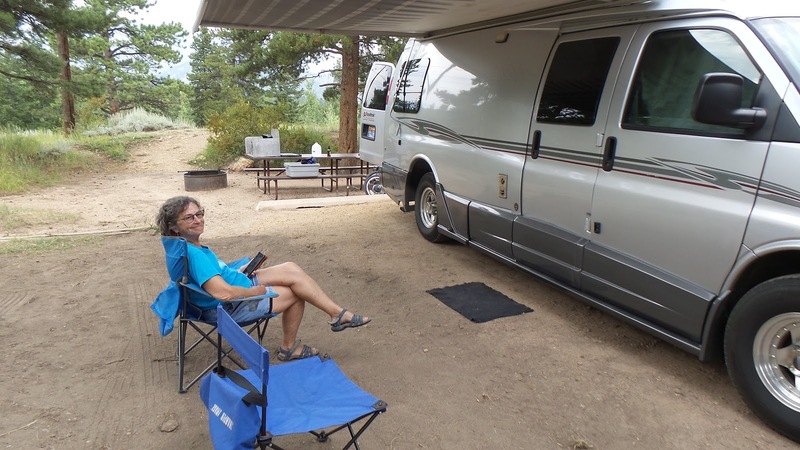 So, we did what you're supposed to do in a campground - we relaxed, walked around, and read books on our Kindle apps. This campground wasn't actually in the National park, so when we left we took a short detour to the Visitor Center to get our Passport stamped. 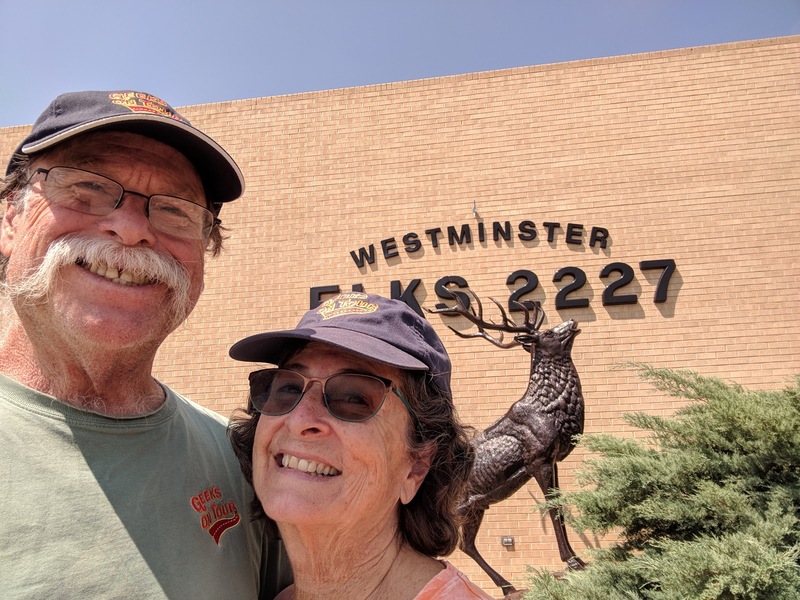 We have been here before and spent a bit more time in the park, but this summer, we're doing better at recording our National Park Visits in our Passport App, so we had to go to the Visitor Center to get a stamp. Then, on to Clear Creek in Golden! We were disappointed to only have one night here, but we'll take what we can get. And, of course, we didn't get a site on the river, but this one was still nice. We walked into town and found a brewery (surprise!) and dinner, then mosied back just about sunset time. So, where to now? It's the weekend and we'd like to do our show on Sunday, we need good Internet for that. There's an Elk's lodge nearby and we've been there before - in fact we did our very first "What Does This Button Do?" show there 4 years ago. So, we know there's good Verizon there. This Elk's lodge has a true, full hookup, RV park. It may be full. With our little rig we know that we'd be able to just dry camp in the parking lot if the RV park is full, so it's a good option. As it turns out, they did have several sites available "along the wall" - this is kind of their transient spaces. The "real" RV park is up on the hill. It worked fine for us. We were able to do our show just fine here. Check it out.